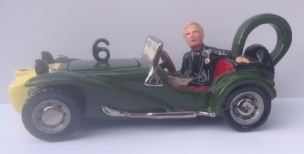 Ever fancied owning you very own tea-pot based on Number Six and his Lotus 7 car? 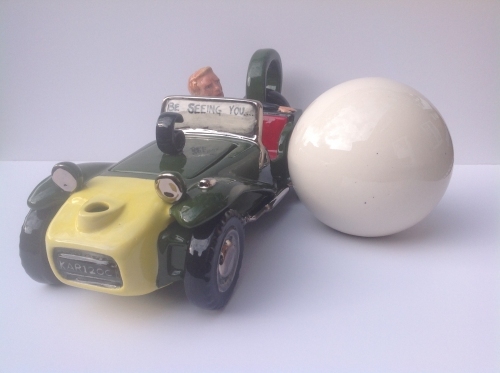 Well now you can, thanks to the considerable talents of Gary Seymour, who professionally makes unusual tea-pots for the ceramics industry, who has created a truly stunning item, as you can see. 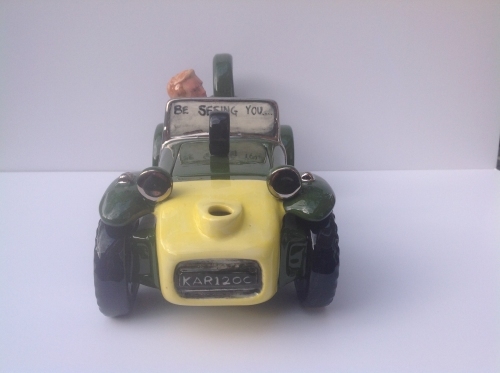 The tea-pots will be strictly limited to 67 in number, and each is individually hand-made and fired. They can be posted, or collected from Gary's studio in Kent. The size of the pot is approx 30 cm long by 12 x 15 high, the Rover in the photo is just for show and not part of the sale. The cost of one tea-pot is £150 (each takes one day to hand-make, and a week to go through the various firing processes). If you're interested in purchasing one, or finding out more details, please contact TUW HERE and your details will be passed to Gary. With thanks to Gary Seymour for this news item.